The KIKO Campus Idol Collection is here! New for January 2016 KIKO's limited edition collection is as preppy as it gets. Designed to celebrate college and street style, the collection stands out from the rest with its old skool american vibrant packaging and 'KK' coat of arms. As a palette lover it will come as no surprise that on the announcement of KIKO's new collection, I was most excited for the All Stars Face Palette and Prom Queen Eyeshadow Palette. The face palette contains 3 powders: a bronzer, blusher and highlight. And I personally like the fact the powders aren't of an equal size and all three shades although a little powdery has good colour pay off. The Prom Queen Eyeshadow Palette houses 6 neutral eyeshadows (and a naff double ended brush), with a mixture of matte and satin finishes. They're soft, easy to blend and once again, have good colour pay off. A few surprising stand outs from the collection includes the weighty, dense, seriously soft, large powder brush and Urban Sheen Lipglosses. If you're a fan of KIKO's best selling Long Lasting Stick Eyeshadow, you'll love their new Double Dare Eyeshadow & Eyeliner sticks. The double ended duo, is quick and convenient, with a twist up eyeshadow and complimentary eyeliner. The formula of both products is pretty much on point. They're easy to blend, pigmented, soft and long lasting. 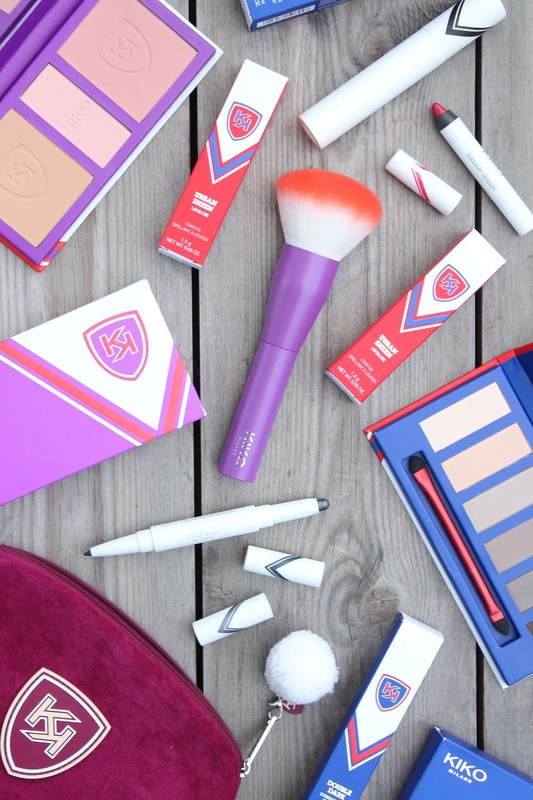 Don't let the packaging of KIKO's Campus Idol Collection deter you, there's a few hidden gems that might just be worthy of a place in your makeup bag. You can find the KIKO Campus Idol Collection online here. What are your thoughts on the KIKO Campus Idol Collection?